We have committed to distribute a wide range of spring hooks and scrappers. 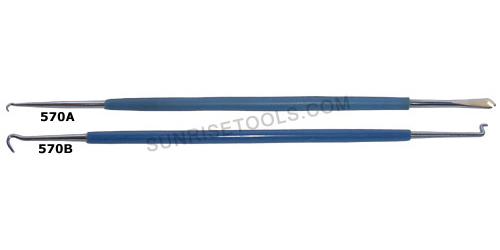 We are involved in manufacturing and supplying our wide assortment of spring hooks and scrappers. As per the defined quality standards, our highly experienced and skilled professionals have designed these springs. 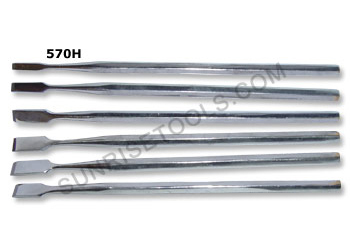 Description :- Fine set of hook tools for various hobbys and resetting springs. 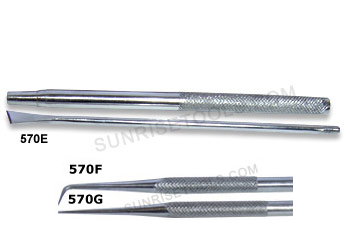 Comes with 5 different shaped hook-ends and a knurled handle for a positive grip. 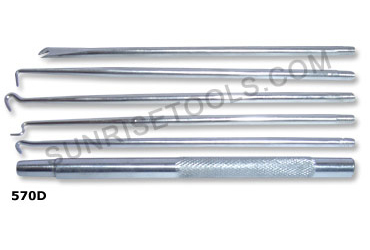 Description :- Made of high quality stainless steel with needle-sharp points and knurled gripping handles. Ideal for marking, cutting and scribing plastic and other material. 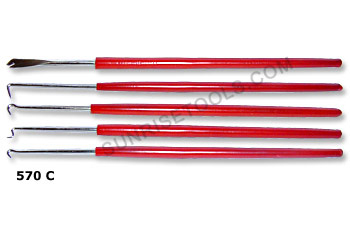 Description :- These chisels (Set Of 6 Pcs) are hardened and tempered under controlled conditions and accurately ground for precise control. Ideal for designing for creating various effects, designs and textures on metals.